Dirx is from Cologne, Germany. The main force behind them is Dirk Herweg. 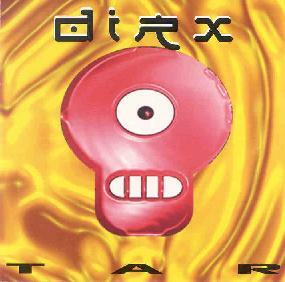 I am guessing that Dirx is taken from his name as he engineered & mixed Tar I can guess knowingly. He is joined by a host of musicians on this album, and as I count them ten have played a part in its creation. Tar is another release from Spinner Ace Records and it leans heavily on the Drum & Bass vibe. It moves into other territories with the opening track ‘Raidi’, which offers an early 90’s English dance sound, a one that has been used and moulded by the likes of Eat Static and The Orb. It elaborates on this as it progresses and twists into a host of musical styles ranging from ambient chill out stuff to banging would be techno. Tar has a definite place in modern times. Its use of technology brings it into the territory of ambient/trance. It has its moments of weird noise progressions mixed with almost jazz like pieces and assorted hypnotic grooves. The tracks are a build up over time and would not be out of place in clubs around the world, and they remind me in ways of the Transmissions from Planet Dog. The whole thing would be appealing to the DJ fraternity and the like because it is delving deep into flavours that would be of interest to folks placed in that scene. ’Hediste’ is my favourite track. It spans over seven minutes with a nice female vocal that entrances you and then submerges you inside its patterns. The beat does likewise in an eastern sort of way. Very hypnotic, mellow, and soothing. The album flows from start to finish, it chances with atmospheres, bringing with it tranquil drug moments. Tar is a well produced album that explores the possibilities of different musical collaborations. It glimpses into the generations that evolved from early pioneers like Tangerine Dream and it shows how it will evolve ever onwards in the visions of these artists. It bears no relevance in spacerock, but is more orientated by clubland. Also visit the Loopcode web site at: http://www.loopcode.de.